The Tree of Love is located inside the main Mary Potter Hospice entrance. Through a gift to The Mary Potter Foundation you can create a lasting memorial by having the name of your loved one and a special message engraved onto our beautiful wall sculpture. 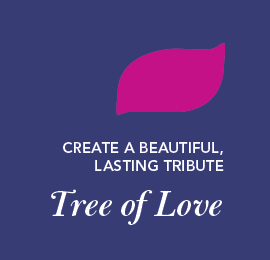 All donations to the Tree of Love are tax deductible and directly support the specialised care of the Hospice. The person being remembered need not have been a patient of the Mary Potter Hospice. The 2019 | 2020 Entertainment™ Membership is now available. 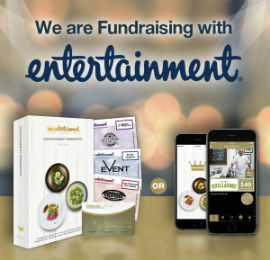 You can purchase your book or digital membership directly from the Entertainment Book website by clicking here and $14 from the cost of your book ($70) will be donated to The Mary Potter Foundation. When you buy your book online you can choose to have it posted to you (at an additional cost) or you can select to collect it from our office in Connery House (rear of Calvary North Adelaide Hospital), 89 Strangways Tce, North Adelaide. Books will be available for pick up or post from mid April 2019. To order your book over the phone or for any queries please call the Foundation on 8239 0119. If you buy wine online, this is for you. With over 100 quality wines available, Winebacker is Let's Do Good Today Foundation’s first commercial venture where all profit goes right back into the hands of charities. All funds raised through every single wine purchase is divided evenly amongst The Mary Potter Foundation and Down Syndrome SA. We are so grateful to be involved in this initiative and if you enjoy wine, please click here to learn more.